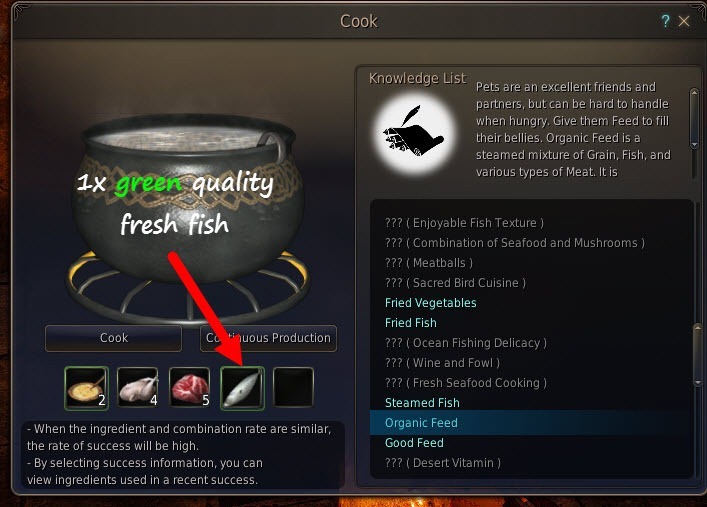 A guide to pets and making pet food in Black Desert Online. 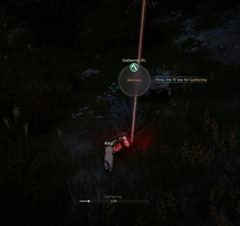 Pets make it easier to loot enemy corpses when you have defeated them since the pets will gather the loot for you and transfer them automatically to your inventory. This saves you from having to manually loot corpses. 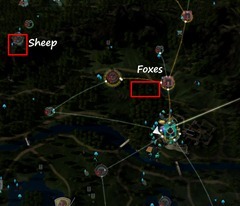 In addition, pets have some semi-useful skills such as locating/marking enemy players, gathering resources, and rare/elite monsters that can be handy. The only way currently in Black Desert Online to acquire pets is via the Pearl Shop (F3). Pets are currently 900-1100 Pearls each, which is equivalent to ~$8-10 USD. When you buy a pet you also get 20 Nutritious Feeds, which isn’t the best pet food you can make but it will suffice. 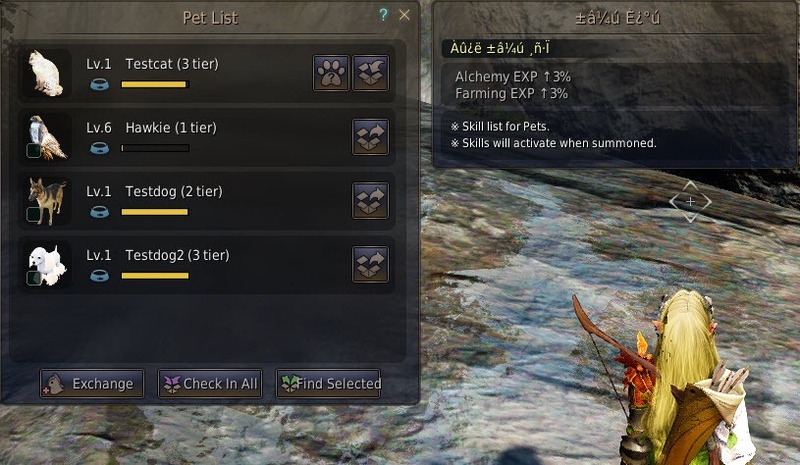 Currently ingame there are 3 types of pets, each with a different special skill. 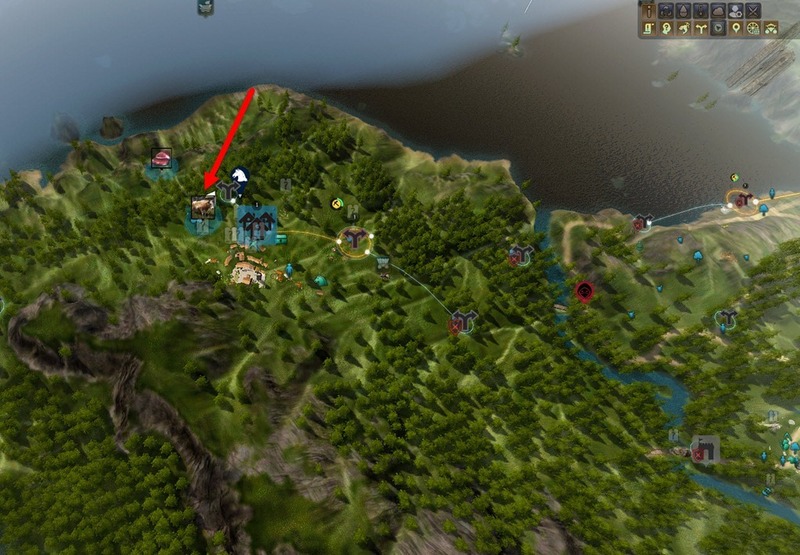 Hawks – Able to detect elite/rare mobs every 10s. 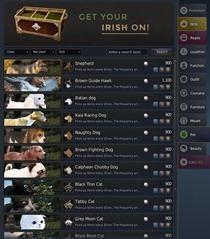 Note that on the NA/EU servers there is a limited selection of pets so some of the pets listed above are not available. Check this list to see which ones are available. Each type of pet also have different item pick up speeds (i.e. corpse looting speeds). They start off as looting corpses every 10s for you but as they get to the max level it goes down to as low as 4s for some cats and hawks and 4.5s for some dogs. This is for tier 1. They also have different hunger gauge levels. Higher gauge means they need more food (satiety) to replenish but they can stay out longer before needing to be fed. Once you have purchased a pet from the Pearl Shop, do the following to use your pet. 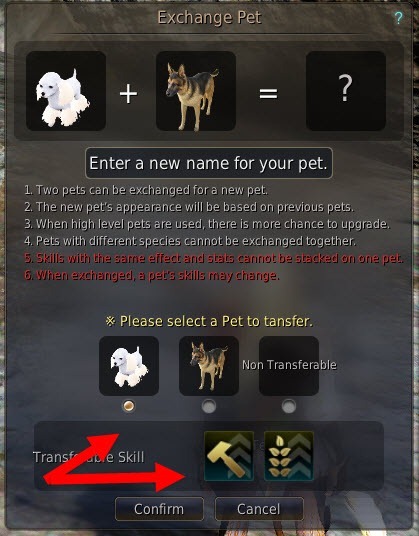 Click the release button in the pet menu to let them out. You can only have 3 pets out at a time so this is something to keep in mind, especially if you purchased multiple pets. 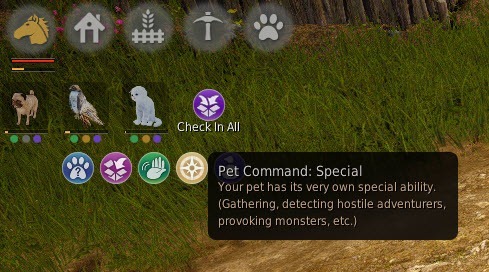 Click on the Pet Command: Special Button (should be greyed out) and it will lit up. 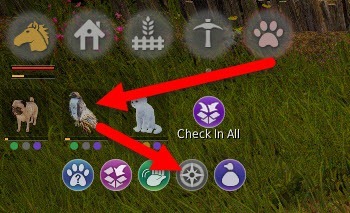 You can have the special skills of all the pets you have out active at once, you just need to activate each one manually every time you check them out. Something to note about Cats and their special gathering resource marker is that they will only mark gathering resources you can gather with your currently equipped tool. This means that if you have a Gathering Hoe equipped, it will only mark Wild Herbs. If you want it to mark things like fruit trees you can gather or thickets you have to unequip any gathering tool. So if you are wondering why your cat isn’t marking anything it is probably because you have something like a Butchering Knife equipped. The marking is simply a red beam that lasts for a few second and your cat will physically run to a resource to mark it. If you are not actively using your pets, you should check them in as their satiety (hunger) depletes whenever they are let out. However, if you like to level your pets up faster and have the food to feed them, then you should leave them out. 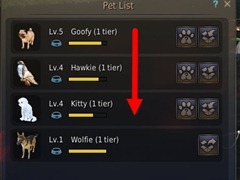 Pets can have a level of 1-10 within a tier. Higher level means they have faster looting cooldowns as the looting speed goes down to 4-4.5s at level 10 as opposed to 10s at level 1 for tier 1. Higher tier pets gain levels slower, as expected. Pets level up only when you feed them food so the faster their hunger gauge depletes the faster they will level up. So if you want to level up a pet faster just leave them out and feed them regularly. The pets you purchase from the Pearl Shop are Tier 1 and only give buffs once they reach level 10. To get skills at low levels you need to breed them so they advance past Tier 1. Breeding allow you to exchange two pets of the same type (i.e. two cats). This will kill them both but the offspring have a chance to advance a tier or even multiple tiers. 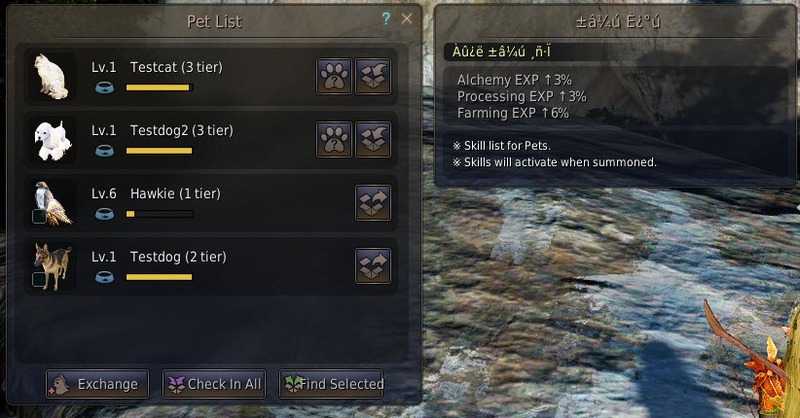 The highest pet tier is tier 4. 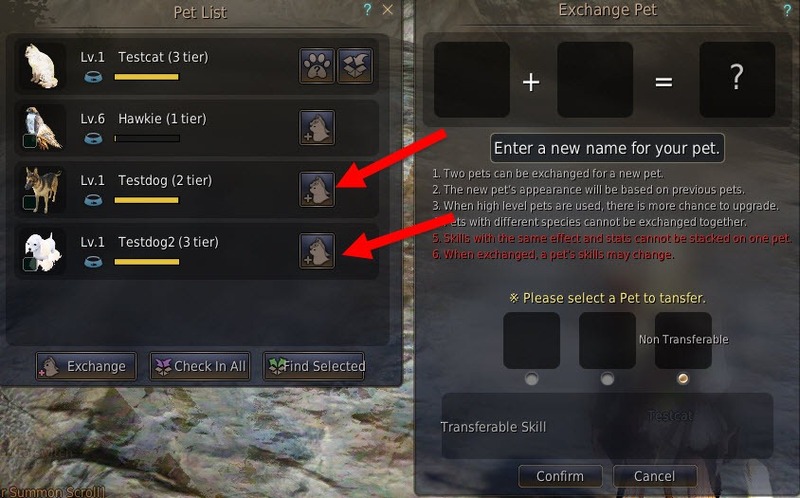 You cannot breed two pets that are more than 1 tier difference apart. 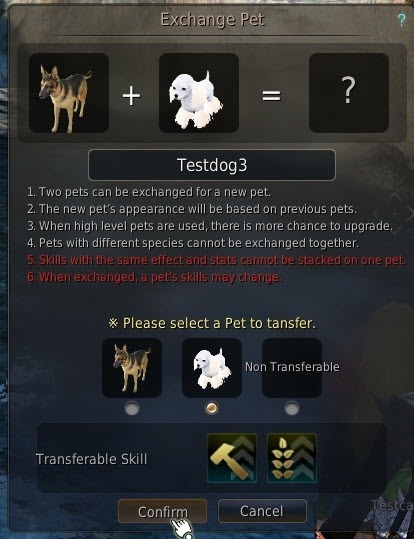 For example you can breed a Tier 1 and Tier 2 dog but you cannot breed a Tier 1 and a Tier 3 dog. To breed two pets you first need to check them in. Click on the Exchange button and this will open the breeding window. Select the two pets you want to breed by clicking on the breeding button. This will place them into the breeding window. If your pet has any skills that give player buffs you can select which one parent’s buffs you want the offspring to inherit. If the number of the inherited skills does not surpass the new pet’s skill capacity, the skill slots will be filled with extra random skills. Levels do still play a factor but the system is predominately RNG based. If you want the best chances at advancing a tier, obviously breed two Level 10 pets. However, I have gotten Tier 3 pets from breeding two level 1 Tier 1 pets so if you are in a rush and have money to spend levels may not matter as much. Appearance wise you can either get unique appearance exclusive from breeding or the appearance can identical to one of the parents. For example I breed a Tier 2 Shepard dog and a Tier 3 Batian Dog and got a Tier 4 dog with an unique appearance. When you breed two fresh Pearl Shop pets together, they will gain skills that grant their owners various buffs. 3% alchemy XP and 3% farming XP. When you have multiple pets summoned, their buffs will stack if they are identical. For example if I have 3 cats summoned, each with +3% alchemy XP, I will get +9% alchemy XP. 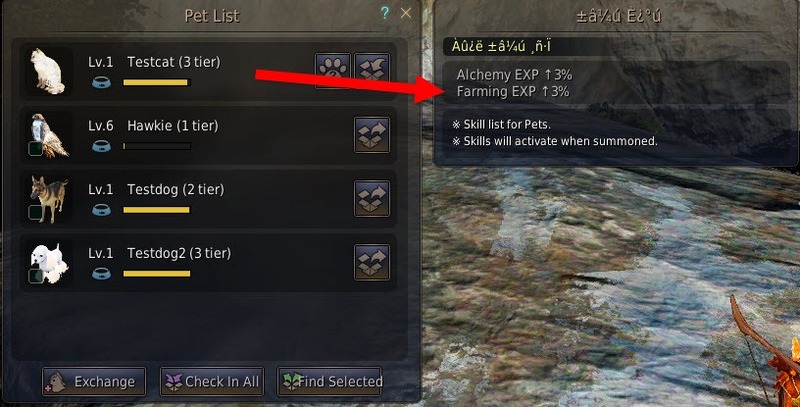 However, the same pet cannot have duplicate skills so tier 3 cat cannot have two +3% alchemy XP buffs for example. In the pictures below, my Testcat grant me +3% Alchemy XP and +3% Farming XP. 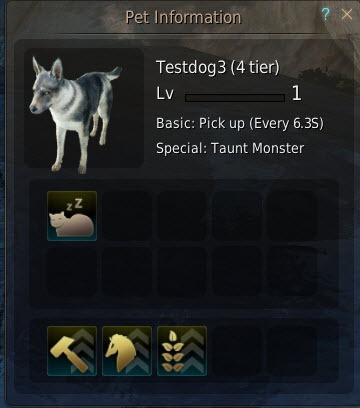 My Testdog2 grant me +3% Processing XP and +3% Farming XP. If I summon both of them out I will get 6% Farming XP. Pets buffs are also now dependent on their type. Pets are categorized into Domestic, Aves, Wild, and Monsters. Each pet has a high chance of learning their main and common skills. 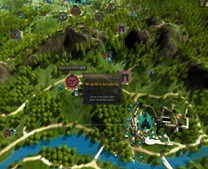 However, they also have a very small chance to learn another pet’s special skills (i.e. cat with ability to detect hostile players, which is a dog ability or cat gaining the monster taunt special ability which is unique). 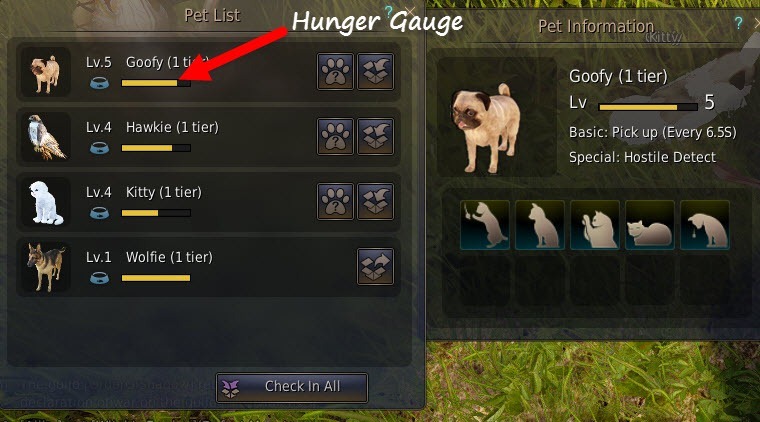 Each pet has a hunger gauge as mentioned above (Cats = 120, Dogs = 150, Hawk = 200 at Tier 1). If their hunger gauge goes empty, they will stop picking up loot and perform their special abilities. They will still follow you around but are rather useless otherwise. When this happens, your pet button on the top left of your screen will blink red. The hunger gauge depletes when the pets are out and following you, even if they are not doing anything. So it is very important to check them in if you are not using them if you like to save on food. However, since pets only level when you feed them, leaving them out constantly is good to deplete their hunger gauge and level them up faster. Hunger gauge can be refilled by pet food, which give varies amount of satiety. When you feed pet food to your pets, it will be fed to the pet with the lowest hunger gauge first. Once that pet has a hunger gauge equal to the others, it will go down on pet list based on who is at top etc. 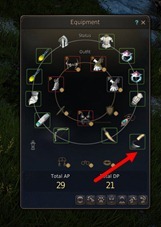 If you have a +30 satiety food and the first pet only need 25 to be full, it will skip to the next pet. So if you like to feed a specific pet that it isn’t on top of the list, just check the others in and have only that one out. 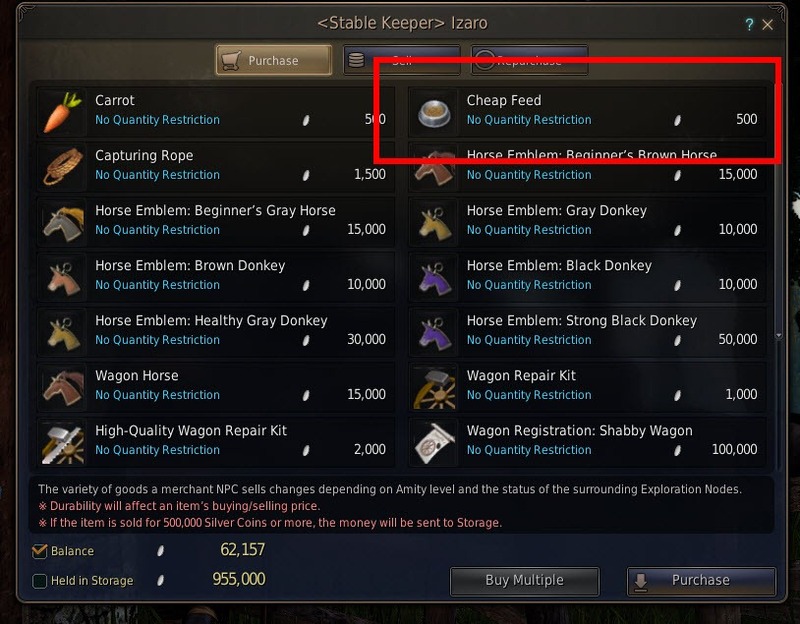 You can buy Cheap Feed from the Stable NPCs in the various town/cities. It costs 500 silver each and only give +6 satiety. To fully replenish a cat pet with a hunger gauge of 120 for example, you will need about 10k silver. You should only do this if you can’t be bothered with cooking and have plenty of silver to spend. You can buy 30 Nutritious Feeds for 150 pearls, which is equivalent to about ~$1.3-1.5 USD. Each Nutritious Feed will +30 satiety to the hunger gauge so this will last you for a few rounds of feeding depending on the type and number of pets you have. This isn’t the best way to get pet food either as it is rather expensive. This is the lower tier of the two grades of pet food you can craft. You will need Apprentice I in Cooking which can be obtained fairly easy if you just mass produce Beer for your workers. It gives +40 satiety and require some very easily acquired materials. 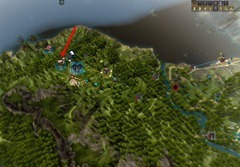 You need to be able to fish, which is best done via AFK fishing as getting fish can be quite tedious if done manually. 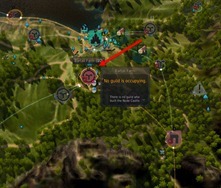 You want to buy a fishing rod from the vendor near the docks in Velia/Heidel and just press space to fish and leave it alone. 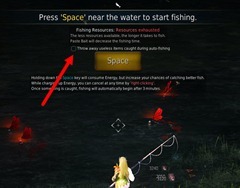 It will fish automatically but make sure you have at least 1-2 rows of free inventory space. 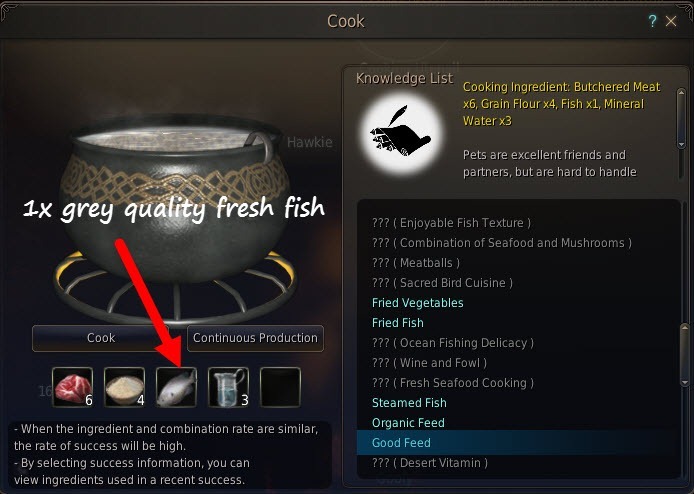 I would recommend not checking Throw away useless items caught during auto-fishing as doing that would get rid of the regular quality fish which you can use for making pet food. 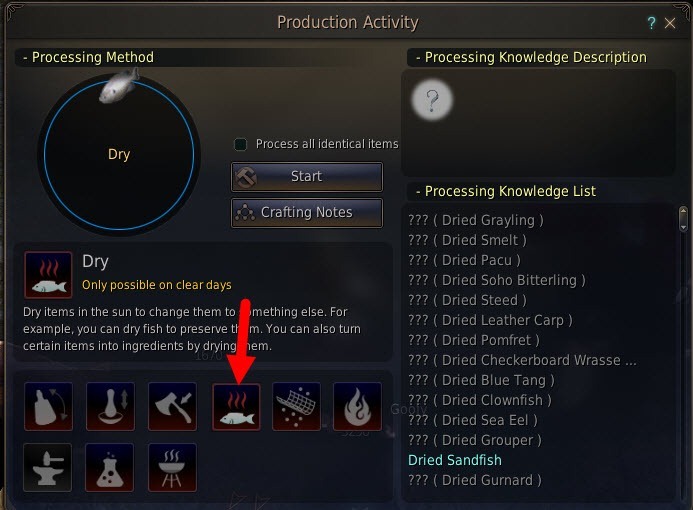 If you don’t have the other materials to make the Good Feed, I would recommend drying the fish as otherwise if you take too long the fish will expire (you have like 24 hrs from the time the fish is caught) and cannot be used anymore. 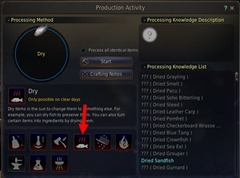 To do so just use L and pick Drying and then select the fish from your inventory. Depending on your processing skill this can give you 1-3 Dried Fish. 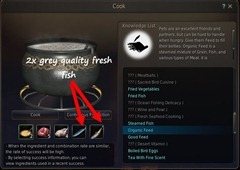 You will need 2x dried fish instead of the fresh fish for the recipe. To make the Good Feed, you need apprentice in cooking and then place the following in the cooking utensil. Depending on your cooking skill you can make anywhere from 1-5 Good Feed per recipe. 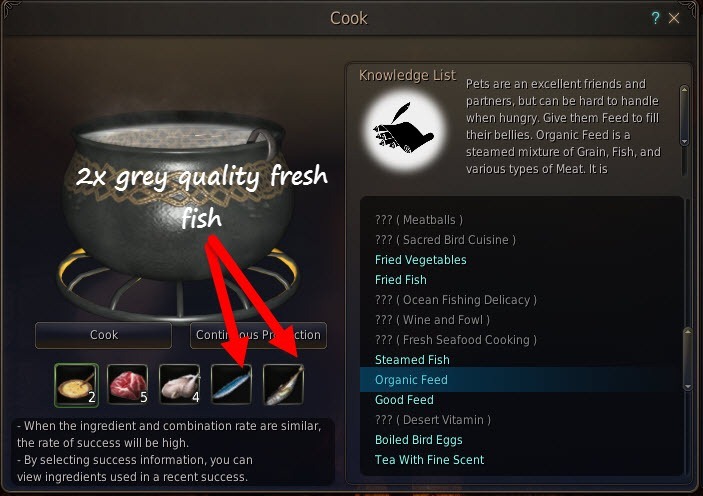 1x fresh grey quality fish or 2x dried grey quality fish (you can use fish of higher quality but it is a waste. if using dried green quality fish, just put in 1). 3 Mineral Water (purchased from cooking/chef NPCs in towns/cities. 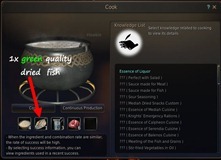 Use the NPC locator and click cooking). 4 Flour (Wheat, Barley, Potato, Sweet Potato, Corn). Chicken/Lizard/Kuku bird meat etc do not work. Only those listed above work as meat. For flours potato flour is easiest to get assuming you have a worker on the potato nodes. Just open up simple processing (L) and pick grinding to grind potato to potato flour. 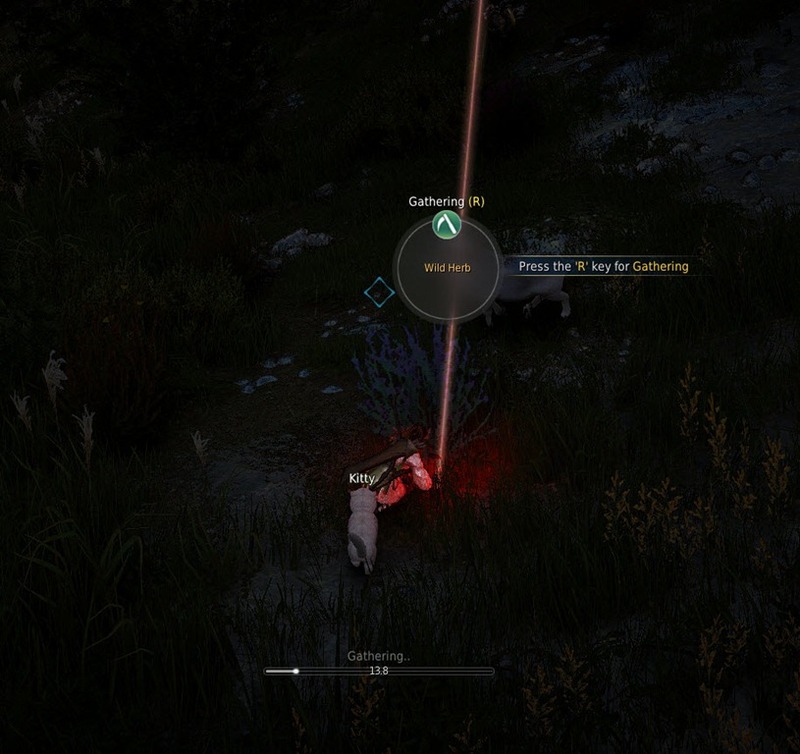 For the meat Fox/Wolf/Lamb meat are fairly easy to acquire, just a bit tedious since you have to manually gather them by killing helpless wolves/foxes/lambs. Make sure you are equipping a Butchering Knife (buy one from a material vendor by using the NPC locator if you are unsure how to get one) so you can butcher them for meat after. 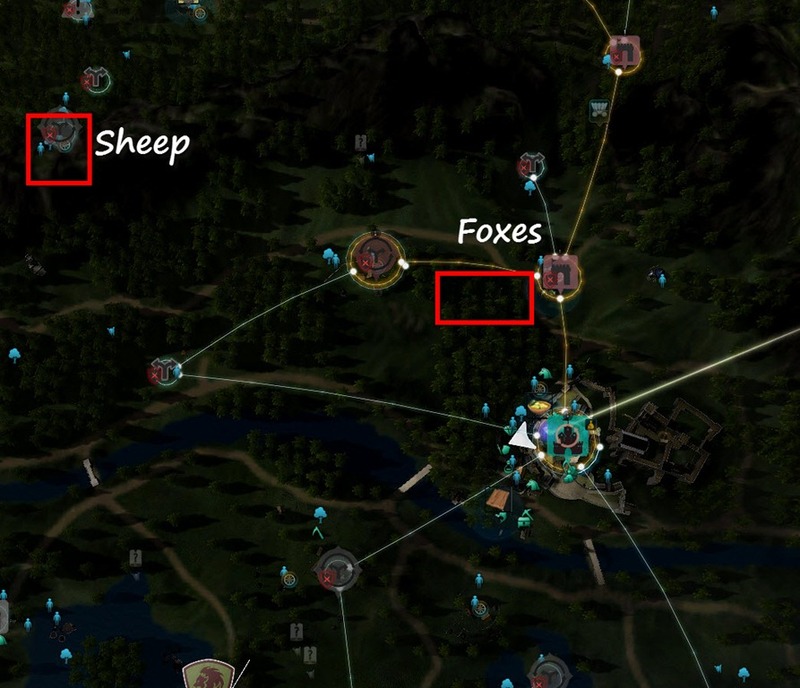 There are lots of foxes north of Heidel and lambs/sheep can be found a bit more north in Lynch Ranch. 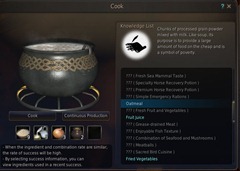 Organic Feed also requires Apprentice in Cooking (You may need Apprentice 10 as anything below seems to give a failed to produce due to insufficient skill). Making it is a bit more complicated but the feed give +70 satiety, the highest amount ingame. For Organic Feed you need to put the following in the Cooking Utensil. Depending on your cooking skill you can make anywhere from 1-5 Organic Feed per recipe. To make Oatmeal you need to place the following in the Cooking Utensil. Onions are obtained via farming. 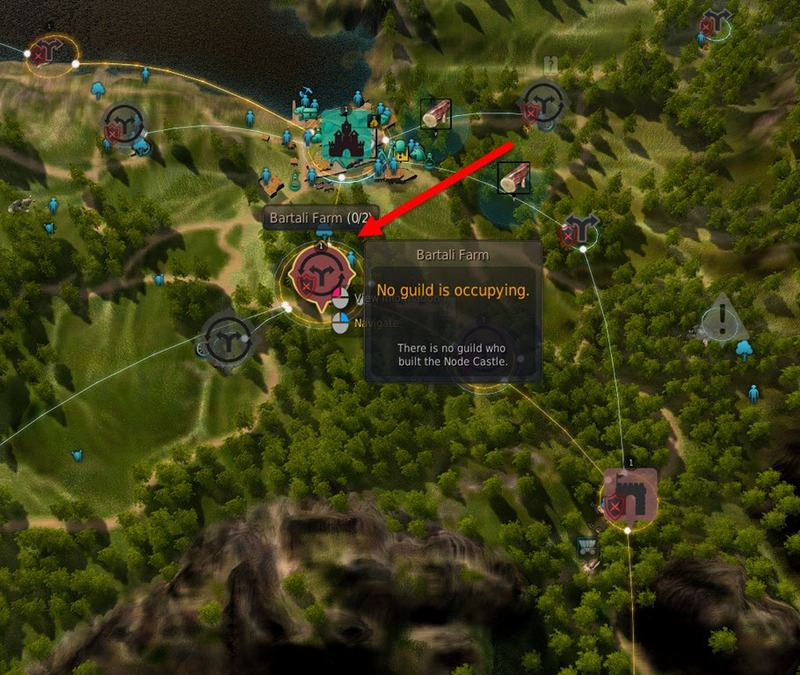 If you are unsure about how farming works or where to get seeds, consult this farming guide. Milk and Cooking Honey are covered in this guide on Milk Tea/Sute Tea. Milk can be obtained from milking cows near Olvia and Cooking Honey are from Alejandro Farm north of Heidel. I’m fairly confident that pets actually only level up by feeding. I’ve never had a pet level up while running around. So, you should actually leave you pets out, even if you are afk, so that their hunger gauge will deplete. 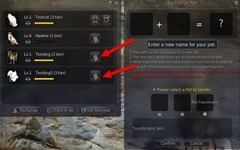 About the feeding order – Pets with the lowest amount of hunger will be fed first until they either have more or equal to another pet that is higher (towards the top) on the list. 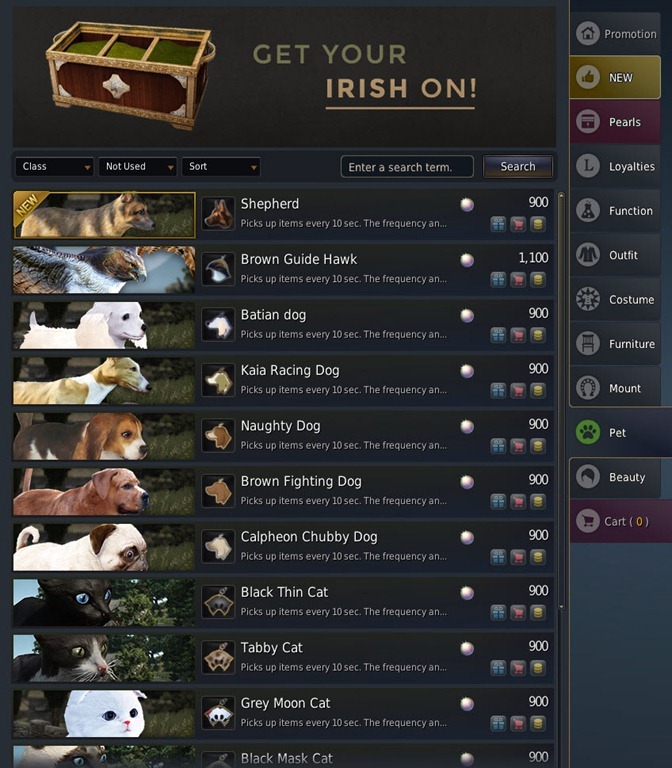 “The only way currently in Black Desert Online to acquire pets is via the Pearl Shop” – WRONG. Accumulate 5000 hours and you get dog/cat for free too. Technically it IS available, practically people can’t get it for few months yet. 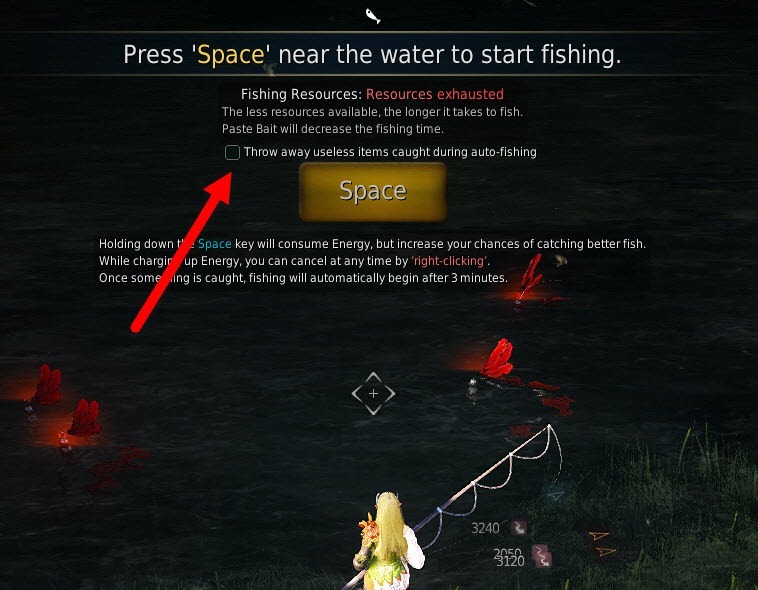 A good guide, but blatantly claiming that fishing manually is tedious is creating an unfair stigma that some players consider fun and not tedious. Guides are better left to be objective and not subjective in their content. I am an Apprentice 4 cook. Failed. 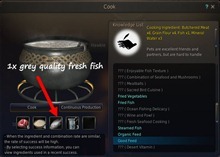 Failed TWICE trying to do 2x fresh white fish instead…. The only waste is you not reading the guide. It was added after her comment. She posted on the forums and we tested it out. I had apprentice cooking level 10 and was able to make it fine but she had apprentice cooking level 5 and it sad insufficient skill level. I rarely ever feed my cat, always running around with him starving and he still alerts me of resource nodes. So as far as I can tell not feeding your pet only effects looting. This is only been tested on cats. I don’t now if it effects the other pet type specials. Also good feed is not worth making because mats in price are around same while it cost you 2 meat more while having allmost 2x less value. At first blush, it looks like more than twice the time to gather mats for organic food (vs good food) manually, not to mention at least twice the total energy cost to cook (processing twice as much flour, cooking oatmeal, gathering nearly twice as much meat from two sources, gathering twice as much fish). So, from a “do it all yourself” perspective, getting only only 1.75x satiety for more that 2x the time and energy investment makes organic food seem a bit silly. But, I’ve not really looked closely at buying the final mats directly. Are the prices for materials on the marketplace really such that just buying them outright makes organic food make sense vs good food? I only bought fish but if you buy them off market it’s cheaper too. What comes for meat I have like 140 which I got from cooking quests alone so I didn’t had to harvest anything. Dryed fish is very cheap from market. honey and chicken and corn my workers produce and I have 1000 of onions from farming because I need it for other recipies. Only real problem with organic feed is that it required 9 flour. That I recommend your alts will grind. 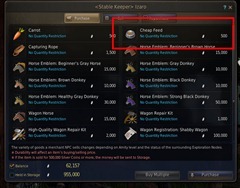 So question is that do you want to buy overpriced stable food or make your own 10x cheaper while leveling cooking same time. No-brainer for me. Ok so it is not worth doing the good feed? I would have to wait until I am a Pro cooker to make the organic feed that’s it? Good feed is absolute garbage compared organic in terms of effeciency. Especially when organic feed uses very common mats you need for other useful cooking recipies. So put your workers do that work for you and you have materials you need. 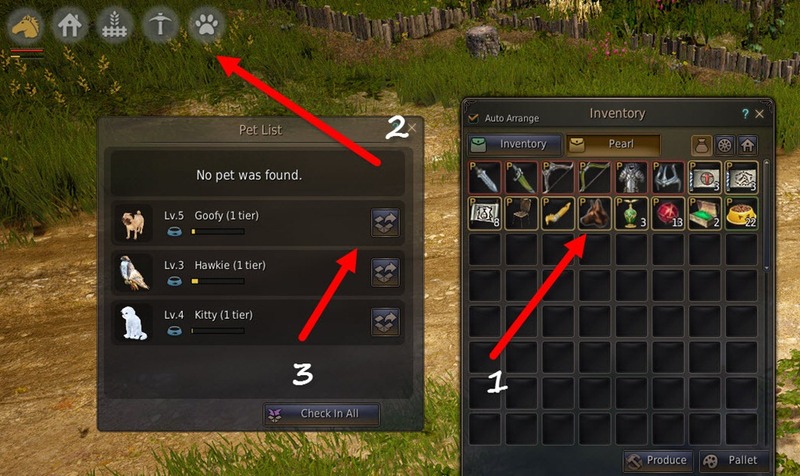 If you have multiple pets out, do they all auto-loot? Meaning, do two pets loot twice as fast as one? Yes. So with 3 they loot avarage every 3.3 sec. You can also level up pet which reduce looting time and thus you need to use less pet food since you don’t have to keep all 3 out. can you update ABOUT DULFY.NET because it still says Elder Scrolls Online (ESO) are currently covered. 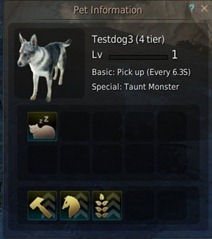 In EU servers there is option for breeding Two pets but You are saiyng that we still don’t have higher tiers. Is that mean If I would breed 2 of my dogs the result will be dog tier 1 again? Oops disregard that. 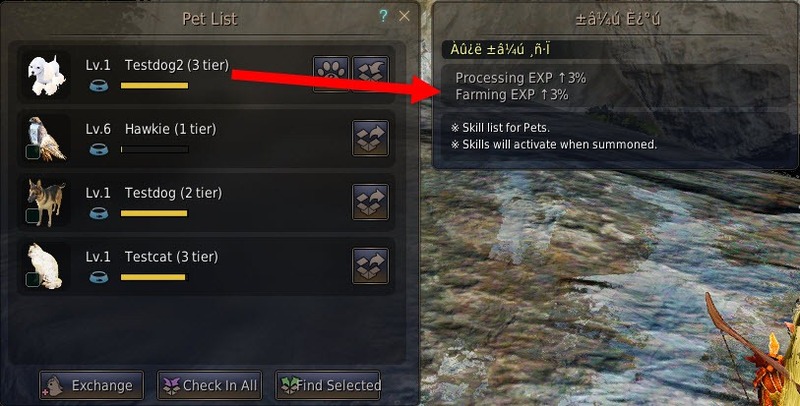 You can now breed pets and get up to tier 4. I forgot to update that section of the guide. Question since I can’t seem to find info anywhere. I know pets show up in your house. I know you can buy beds for them. What happens if I own more than one house and put, say, a dog house in one and a cat house in the other? Will they stay in separate houses? Or have two cats, and a cat bed in each of two different houses? You can only own 1 residence at any given time, so that settles that question. No, you can have several — I have two at the moment, both set to residence and with furniture in them. For the record, I put a cat bed in one house and it still showed up in the other, so it appears pet beds don’t dictate where animals show up. As far as I can assess there’s no hard limit on residences. I did breed a tier 3 with tier 3 and didn’t get tier 4, then tried again with no luck, Idk if tier 4 available or I’m not lucky. 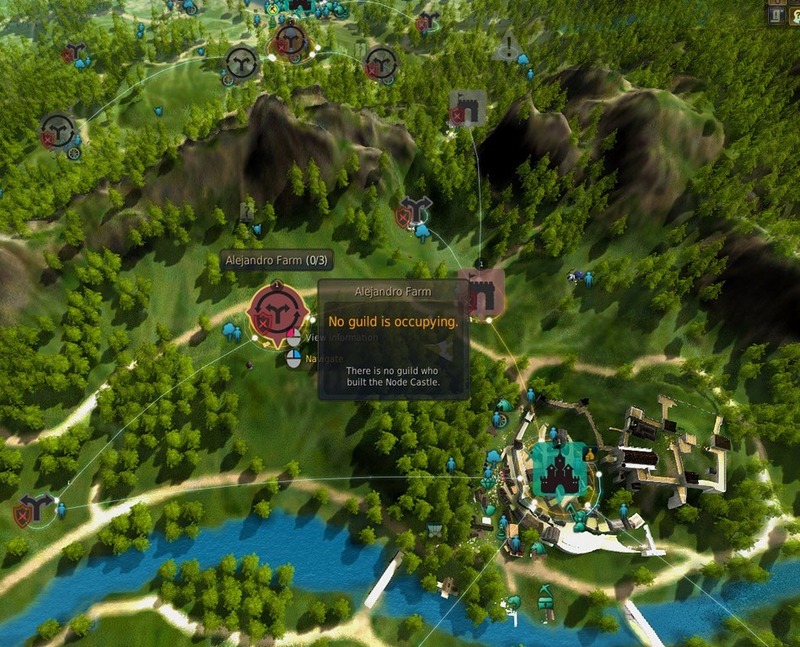 The picture under pet usage shows a bunch of UI features that are not in the current version of the US game (copy of picture attached so you know what I’m speaking on). We have that feature and I described above exactly how to get it. As an update; I was able to make Organic Feed at Apprentice 8. I want a crow damn it ! Although I do like the Calpheon chubby dog. I don’t see any information on obtaining the Good Feed recipe, which I believe you need in order to be able to make it. It’s not something that can be “discovered”. 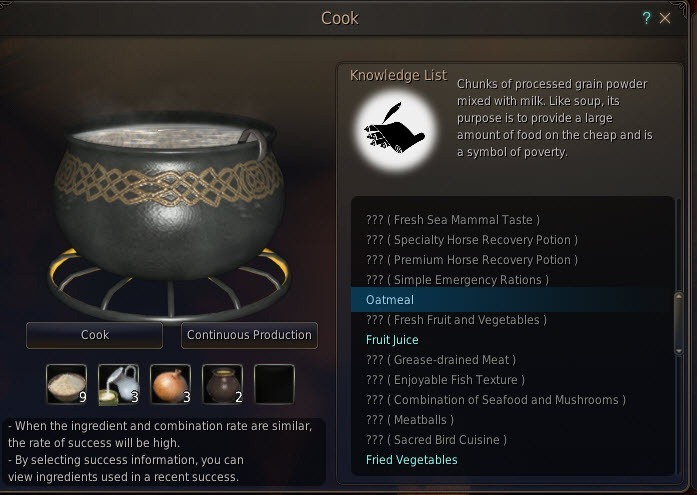 I obtained a quest for it from Sealus in Velia once I hit Apprentice 1 in cooking. It’s called “Making Cat Food”, and you have to craft the good feed out of 6xweasel meat, 4xpotato flour, 1xmudskipper and 3xmineral water for him. I bought the pet with the same race and same type and exchange and got random pet then. I have a Hawk that gives me +1 Luck, but you don’t list luck on possible stats for any pet. 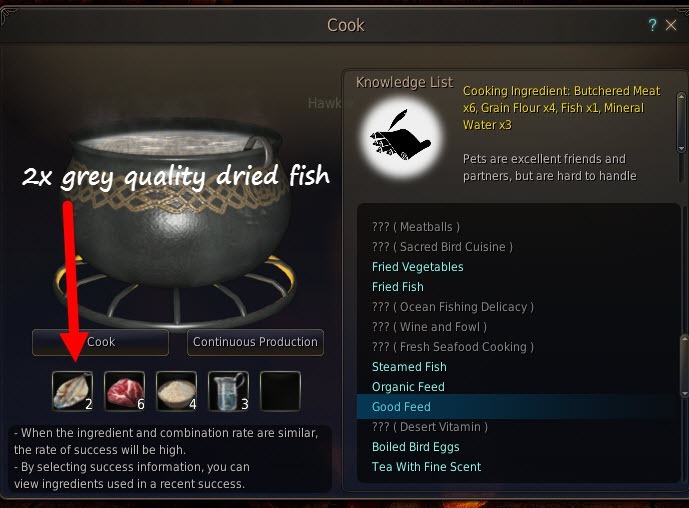 2. somehow, before using the two types, i managed to complete the crafting and get the feed by using only 1 white normal fish (not dried), dont know how. Can i use the pets on all my characters or are they bound to just one? u sure its 3 pets out at once? somehow i have 4 pets outside at once now, is it a bug? It is new since the wednesday patch, forgot to update it. A few things are of date now. Such as: 4 pets are now allowed out at once, the addition of the Penguin and parrot (making “Birds” more applicable than “Hawks”) and the ability to buy pets from the marketplace for a few million silver. +he is unable to update because he got a spyware looking at traps and his non alienware computer was not fast enough to allow him to close the windows. computer is now permafrozen. if you want updates, consider buying him an alienware. 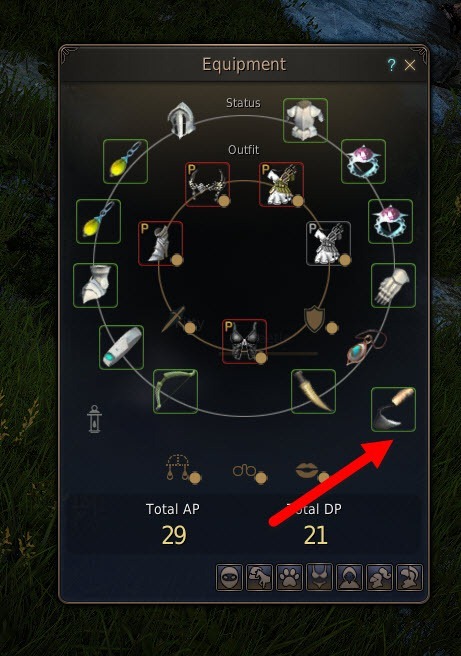 This system is complete p2w BS. You can play this without spending a single dime noob. The only way to get pets are the pearl shop, or very rarely the marketplace and events for attendance. If you want the convenience of pets you either have to fork out money or invest many many hours waiting for a pet to popup on the marketplace and pray you actually win the bid or hope they show up on attendance and if you happen to miss even a day on you can no longer get the reward (just happened to me, had to leave for vacation and couldn’t be on my computer so i lost out on the free penguin). While this system is entirely there for convenience sake, if you make your money by grinding mobs then it’s almost required and the whole system is setup to be a very large money sink, so yes it’s p2w. Just a heads up on the attendance rewards. If you are behind, i.e. if you were not able to log in on a specific day, you can check in twice every day during the weekends. This works on Fridays I think as well, as long as the double exp buff is active. Admittedly it is not perfect but for the future you might be able to catch up to some of the better items if you miss them. “The only way to get pets are the pearl shop” Or by actually competing in one of the many events the game has. 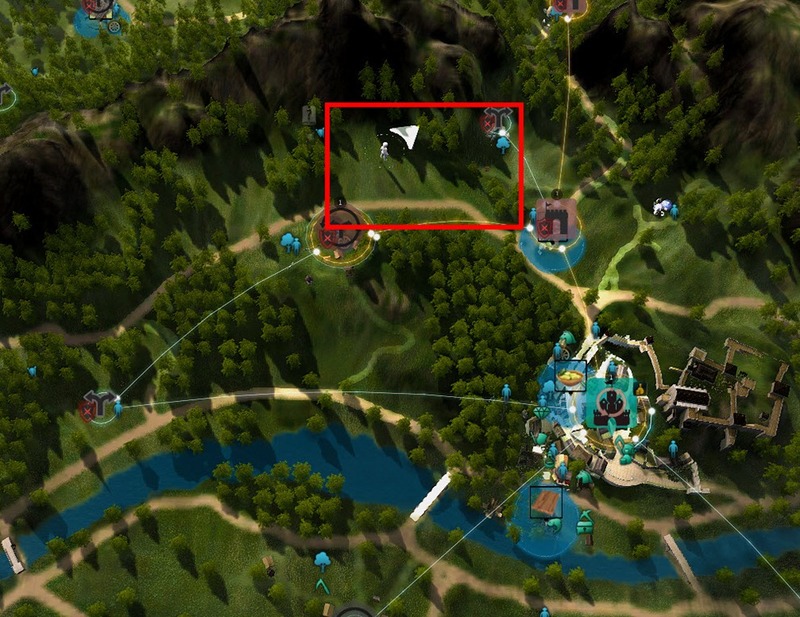 Or via marketplace.I have 4 pets man. Paid for none. They give out free pets periodically. Penguin last January, Kuku Bird at the end of this month. Please check the post date. here is 18th March 2016 while that page is 19th March 2016 and you say this page copies that page, genius! Please learn to read. He didn’t say this page copied that page. He said the complete reverse.